Sometimes with retouching, making the image a little livelier, bringing back in some depth, I both clean and grunge it up a little. 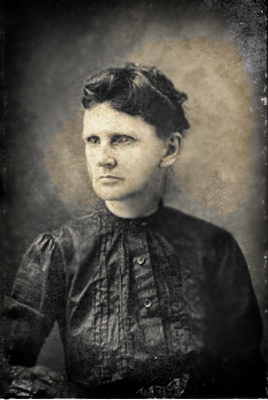 Delana Louise Fowler Brewer, daughter of John B. Fowler b. 1827 and Mary Jane Johnson b. 1832 married David Nathaniel Brewer. 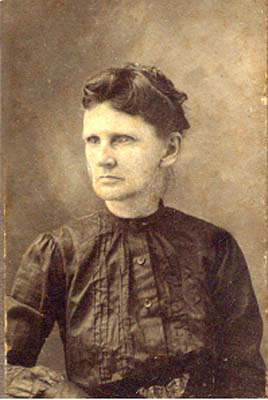 She was born 1854 at Bloomington, McLean, Illinois and died 1939 at Oscaloosa, Dade, Missouri. This photo would likely have been taken in Barton County, Missouri.